When I first started this whole journey in January one of the few list items that I planned ahead on was today’s; I always thought, “I am going to blog on the 360 bridge on the 360th day of the year.” Imagine that the 360 Bridge on the 360th day, naturally it seemed perfect. 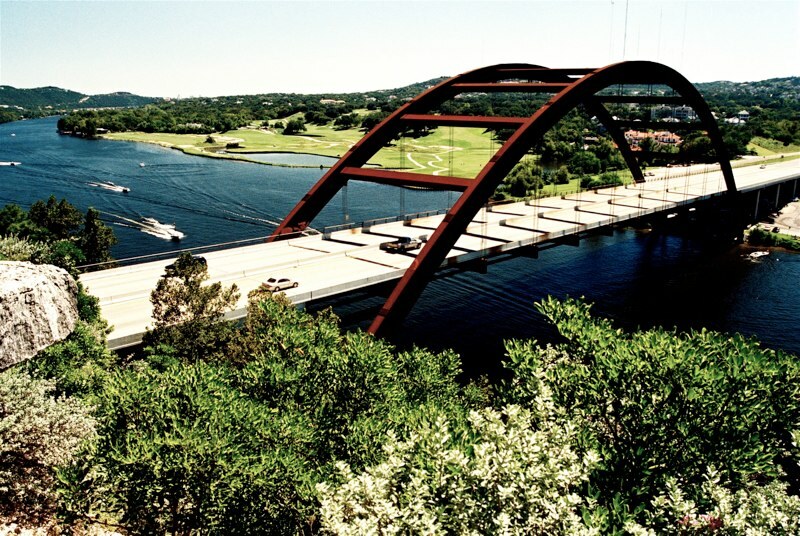 The 360 bridge (technically Pennybacker Bridge) is one of my favorite places in Austin. Every time I drive over it I think of how lucky we are to live in Austin. I don’t know if it’s the beautiful scenery overlooking Lake Austin (one of my favorite things on planet earth), or just the fact that it’s such an Austin icon. Either way it symbolizes all the things that make me happy to be an Austinite. The 360 bridge overlook is always a fun little hike. You get some great pictures, a little exercise and a new appreciation for how beautiful our city can be. With all the rain we’ve had in the last few days I’m guessing it might be a little muddy, so keep that in mind if you’re venturing out that way.